Efforts to protect delicate feelings from hard opinions seem to run counter to the Enlightenment ideals of free expression and investigation on campus. There is a strong attitude across university campuses that censorship is a good tool for the benefit of a multicultural and inclusive society, that respects the values of all its members, freeing them from being exposed to anything they may find “harmful”. Many students now sign up to policies that promote “safe space” throughout the university campus from the clubs and bars, to the seminar room and lecture theatres. Most of the time these policies go unnoticed and unchallenged as the bureaucrats strengthen their grip over the university and its members, and political activity wains under prevailing conformity and debateophobia. This piece by Christopher Beckett first appeared at Index on Censorship under the title “University: A safe place for safe ideas.” It is reprinted here by permission. These policies exist in antithesis to the true purpose of institutions of higher learning – to debate every idea and challenge every prejudice. The promotion of safe spaces has been the preserve of National Union of Students (NUS) officials and university management for a number of years, seeking to create inclusive and welcoming environment for a growing student body, and attract more students from minority and/or vulnerable backgrounds. Originally the policy specifically dealt with the LGBT community. The US group Advocates for Youth describe safe space as one in which every individual can “relax and be fully self-expressed” free from feeling uncomfortable, unwelcome or unsafe. The University of Bristol Students’ Union expresses the policy aptly: “The principle values [adopted from the NUS’ ‘safe space’ policy] are to ensure an accessible environment in which every student feels comfortable, safe and able to get involved in all aspects of the organisation free from intimidation or judgement” (my emphasis); ranging from freedom from physical and criminal activity, to being free from having one’s culture and beliefs questioned. In the November of last year the LGBT society at the University of Liverpool lodged a complaint against the Islamic Society’s (ISoc) hosting of Cleric Mufti Ismail Menk due to his homophobic views, appealing to the Liverpool Guild of Students safe space policy. Despite the meeting being private and only open the ISoc members, the LGBT believed that the events would impinge on their “freedoms and happiness,” and would rather the Liverpool Guild of Students ban the event than have their lifestyles judged by others. Given that such august institutions have taken on the narrative of safety first, it is no surprise that this has only strengthened students as censors resolve. Last month the student union at the University of Derby revealed that it would be continuing its ban on the UK Independence Party (UKIP) in an upcoming debate in the run up to the 22 May European and local council elections. This follows its refusal to allow David Gale, UKIP candidate in the Police and Crime Commissioner elections of 2012, to take part in a Q&A session. This censorship and conformism came under the tired old banner of ‘no platform,’ with the SU contending that they had the right to create a space in which students feel safe while studying on campus. Unsurprisingly, whether it’s No More Page 3 or the ban of Blurred Lines, any attempt to engage in open and critical discussion of the issues has been met with scorn. Lucy Pedrick, of Sheffield Students’ Union council, believes a “referendum [on the banning of the sale of The Sun newspaper on campus] would not be a fair debate,” keeping the discussions behind closed doors for those who are members of the right forums and councils. It appears then that today’s students are too vulnerable to be exposed to any robust and challenging discussion. This grows out of a culture that has promoted the idea that every individual is emotionally vulnerable and cannot cope with a growing range of encounters and experiences. It is now believed that we live in a world of unmitigated risks and problems, only waiting around the corner to trip you up again, and our ability to deal with everyday problems seems to have diminished. According to sociologist Frank Furedi, vulnerability has become conceptualised a central component of the human condition and “contemporary culture unwittingly encourages people to feel traumatised and depressed by experiences hitherto regarded as routine,” from unwanted cat-calling to the discussion of dangerous ideas. It’s a far cry from the tradition out of which the theory of liberal education and the modern university was born. 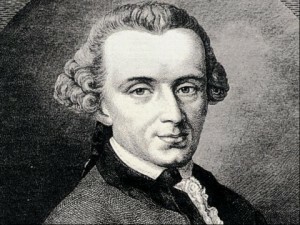 The period of the Enlightenment was led by the rallying call of Immanuel Kant – ‘Sapere aude!’ – dare to know and dare to use your own understanding in the creation and formation of your own opinions. However, this is the reverse of what we are seeing today as debate is closed down and speech is censored on campus all in the name of safety. If we are to recapture the campus, lead the progress of human knowledge, and create an active and engaged citizenry towards progressive social change, it’s free speech and expression we must engage in. This entry was posted in Communication, Public Policy and tagged Censorship, free speech. Bookmark the permalink. Post a comment or leave a trackback: Trackback URL.